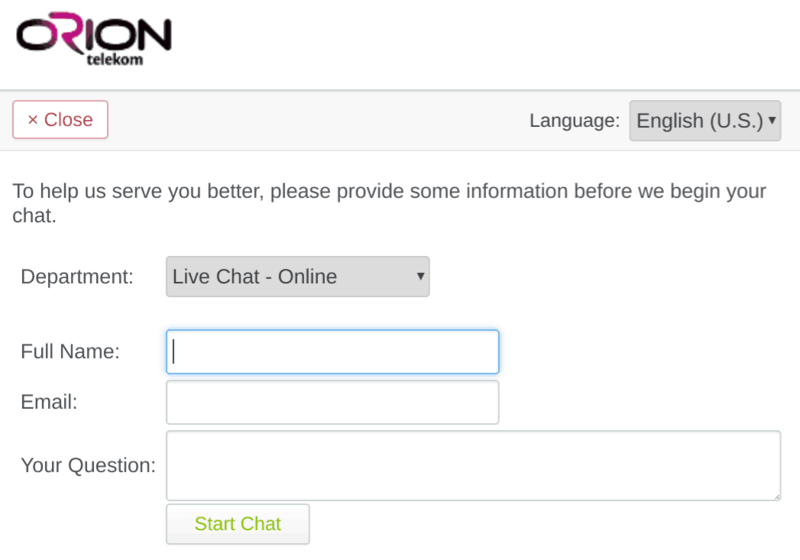 Orion Review 2019: Is Orion a Good Hosting? Orion Telekom is a solid hosting company with some good beginner-friendly features and tools. Customers can choose between SSD or HDD storage and between Windows and Linux operating systems. Founded in 2010, Orion Telekom (hereafter simply Orion) is a Serbian company that provides hosting services in addition to telecommunications. It’s website is in Serbian. Using Serbia-based servers, Orion offers a choice of three SSD hosting plans and three HDD hosting plans. The latter are cheaper because HDD storage is less reliable and has slower read/write times than SSD. As well as choosing between SSD and HDD storage, customers can also choose between Linux or Windows operating systems. And there is a 99.9% uptime guarantee on all plans. All of the plans are pretty substantial. For both the HDD and SSD versions, the resources range from 5GB to 30GB storage with 300GB to 700GB monthly traffic. Subdomains are unlimited, and you can get one, five, or ten domains included according to the plan. Linux plans come with the cPanel control panel, Apache Web Server (for speed and performance), and support for PHP 5 (but not the far faster version 7). 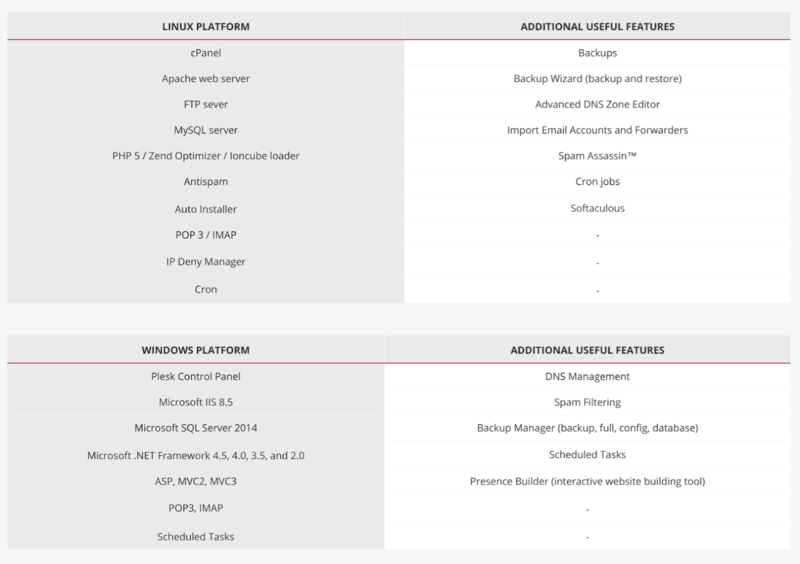 Windows plans use Plesk as the control panel and support ASP as well as the Microsoft .NET Framework. Beginners will benefit from the RVsitebuilder website building tool that comes with all plans. It includes 500 readymade templates, a WYSIWYG editor, integrated galleries, blog, newsletter, and much more. All plans also include a premium Softaculous installer one-click installer for more than 350 popular applications including WordPress, Joomla, and Magento. Prices are in line with most local and international competitors, and you can keep the cost down by opting for slower HDD storage (rather than the faster SSD storage) while still benefiting from all the other resources and features. It’s nice to see free domains for one year, but do bear in mind the additional cost of the SSL certificate that seems to be quite pricey compared with everything else. You can add Whois protection at the checkout for an extra fee, but – unlike many other hosting companies – Orion doesn’t bombard you with lots of extra add-ons. You can buy hosting on one, two or three-year terms, which is quite a commitment when there is no monthly payment option and no money-back guarantee. Customer service can be obtained by email, telephone, and live chat. Customers with “Premium Client Status” benefit from 24/7 customer support but it’s a little less clear what kind of support everyone else gets. When I visited their website, the live chat appeared to be available, but sadly no-one answered. Orion Telekom offers a comprehensive set of packages along with a one-click installer and a website building tool. But don’t be fooled into thinking that this provider is only for beginners; there are plenty of expert-level features too. Wondering how Orion stacks up against other Web Hosting companies? Enter any other Web Hosting company and we will give you a side-by-side comparison.